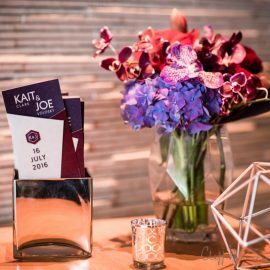 When Kait and Joe first met one fall day they never pictured themselves celebrating their commitment to each other, over 10 years later. 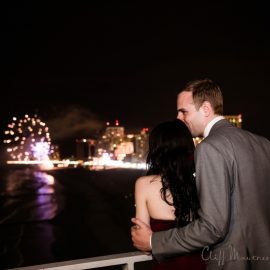 The two first met move in day of their freshman year at St. Joseph’s University in Philadelphia, in their words, they “both begrudgingly moved into university honours housing.” This day was the start of a beautiful friendship, their partnership followed after graduation, when Kait moved down to North Carolina. 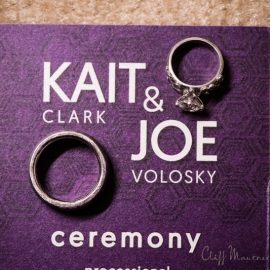 After months of endless video chatting, phone calls and weekend getaway trips, the distance became too much and Joe left his job in Philadelphia to start his life with Kait and their now, 4 cats. 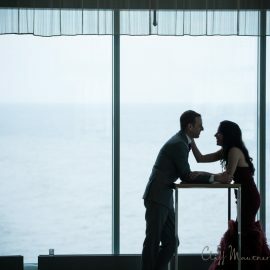 The couple shared a mutual engagement; a day without a doubt will never be forgotten. 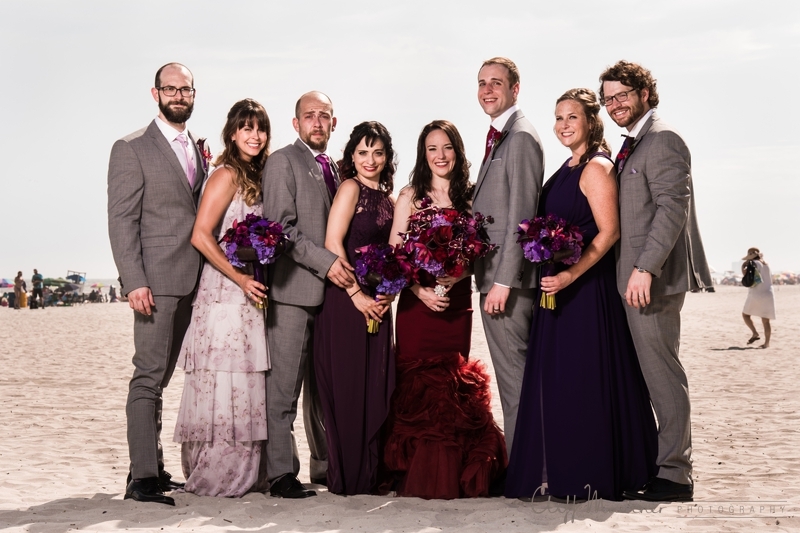 Kait and Joe planned a romantic day on Ocracoke, an island inclusive of the Outter Banks, they rented a boat to explore the waters and sandbars surrounding the island. 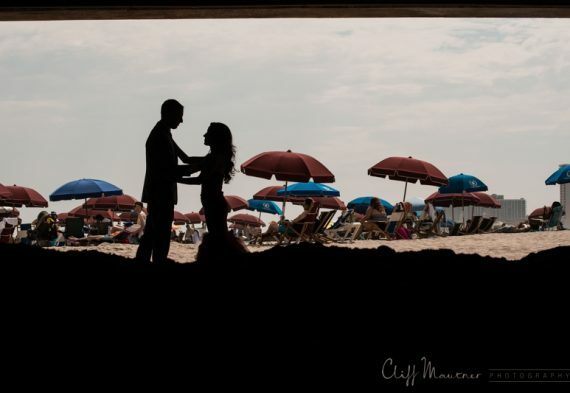 Over the course of the day, they lost their way, had their boat stuck in the sand, and caught in the middle of a storm and rocky waters they were concerned their boat was on the verge of capsizing. 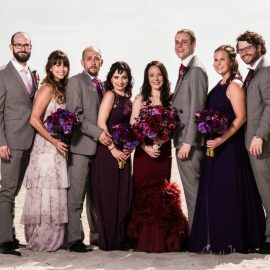 Luckily, they found refuge on a bird sanctuary and exchanged their engagement rings and officially celebrated that day as well as their life ahead. 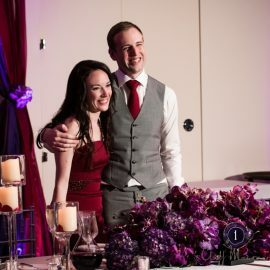 A little less than a year after their engagement, they found themselves on the heels of their next adventure, a move to the UK. 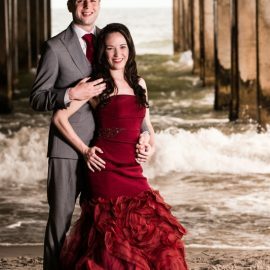 The couple has been living abroad for the past two years. 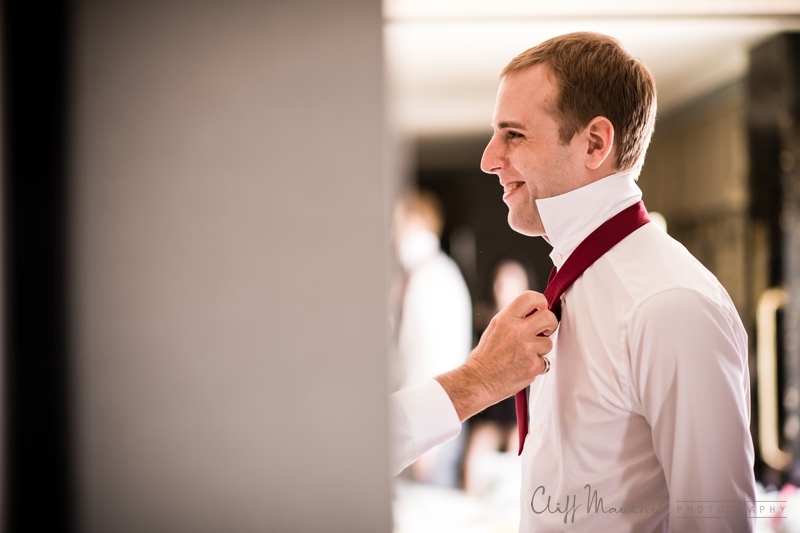 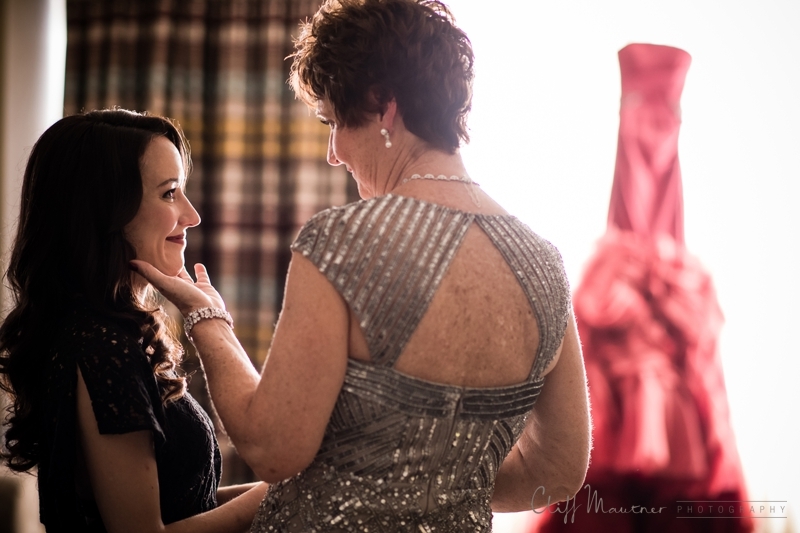 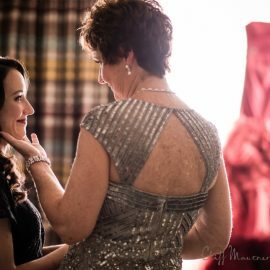 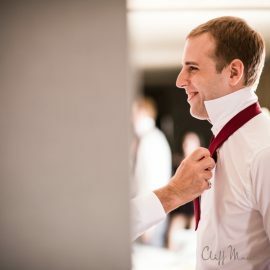 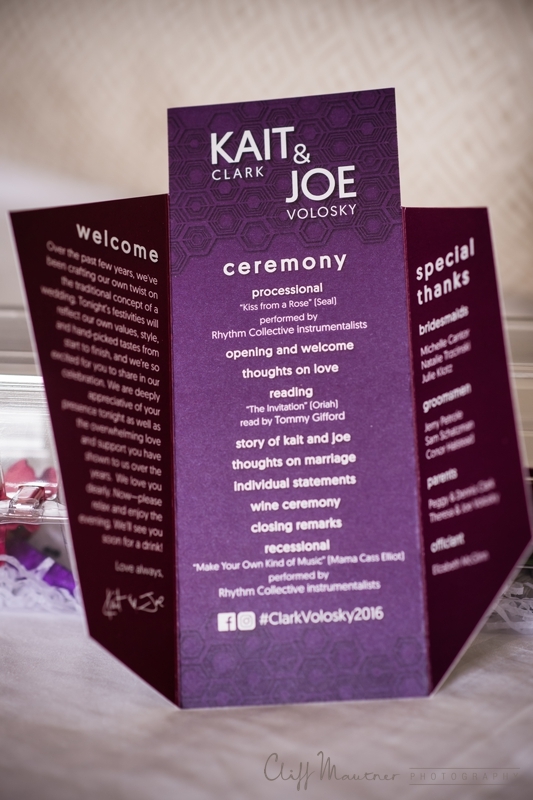 They hoped they would be able to marry in the era of marriage equality, three years from their engagement, an international move and a Supreme court ruling, Kait and Joe were able to do just that. 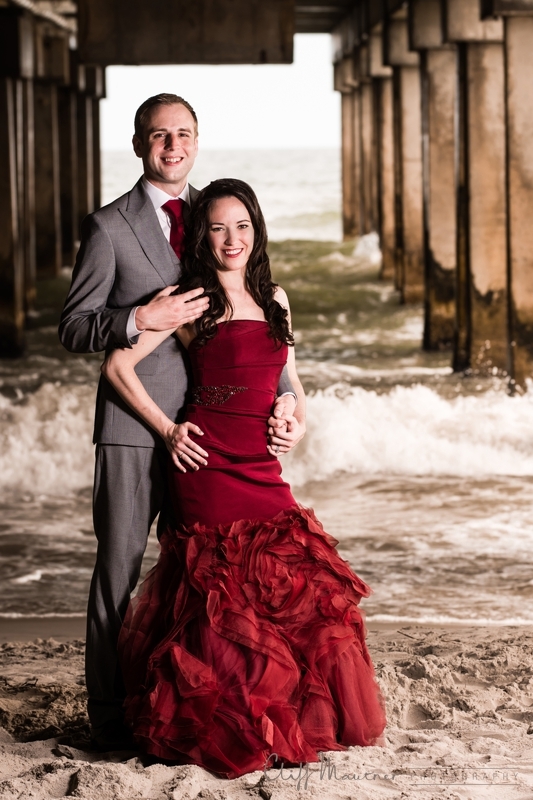 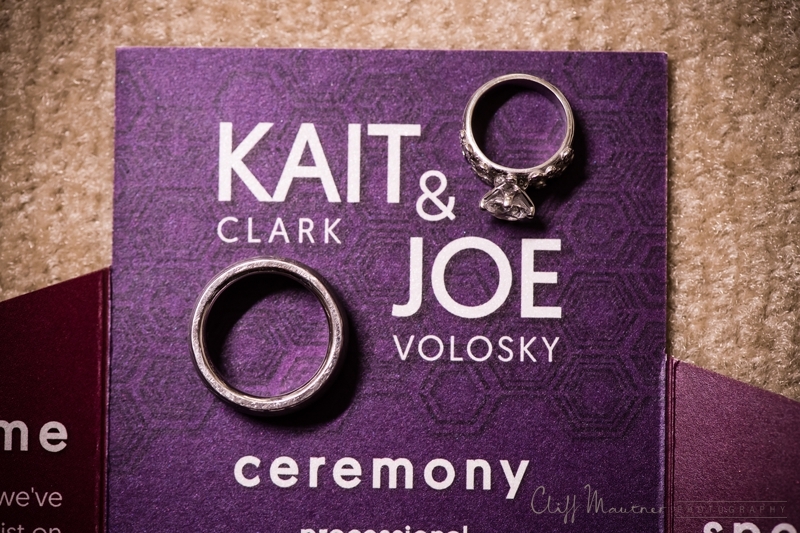 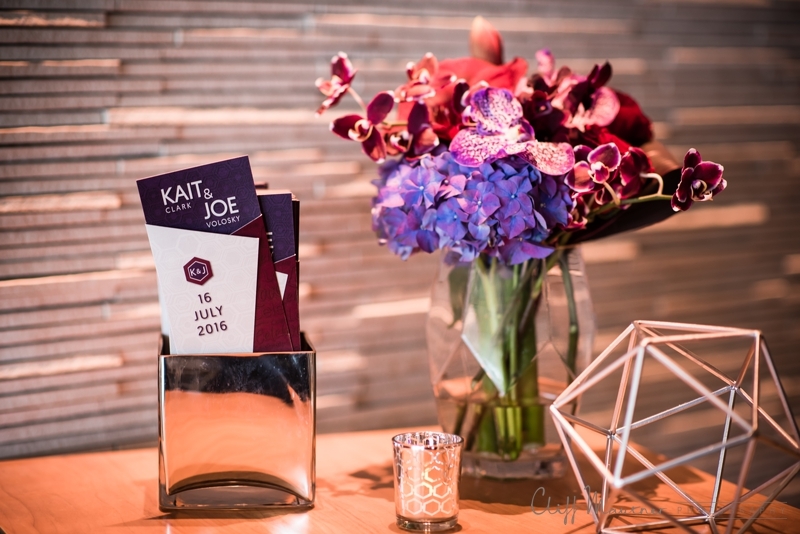 Kait and Joe’s dream was to create a celebration of their love and commitment to one another. 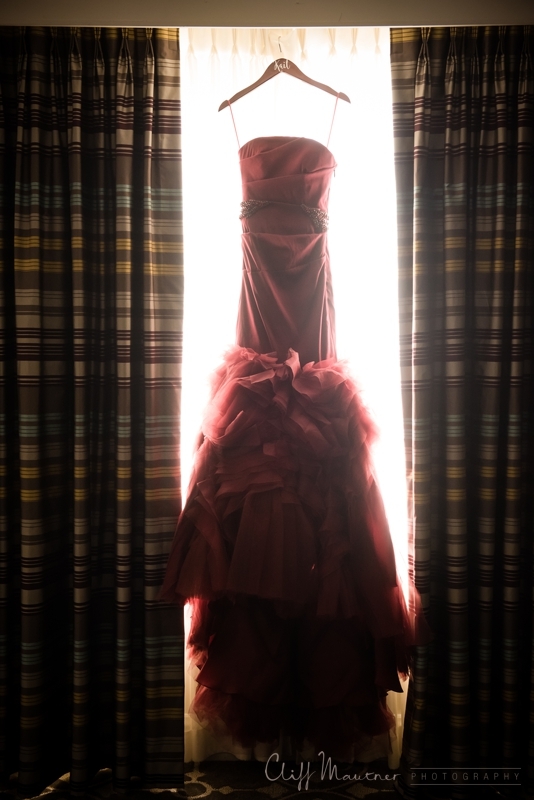 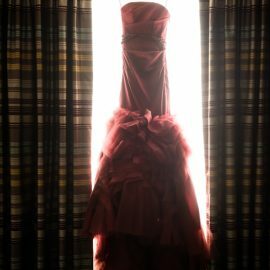 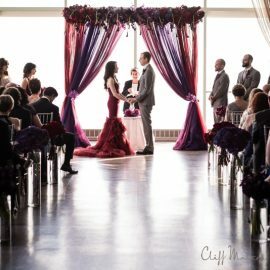 They broke stereotypes of traditional weddings, the bride wore a beautiful crimson dress by Vera Wang, both set of parents performed choreographed dances to original wedding songs and the bride and groom included a wine ceremony within their ceremony. 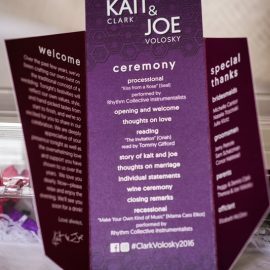 They also opted out of the wedding cake, garter and bouquet toss. 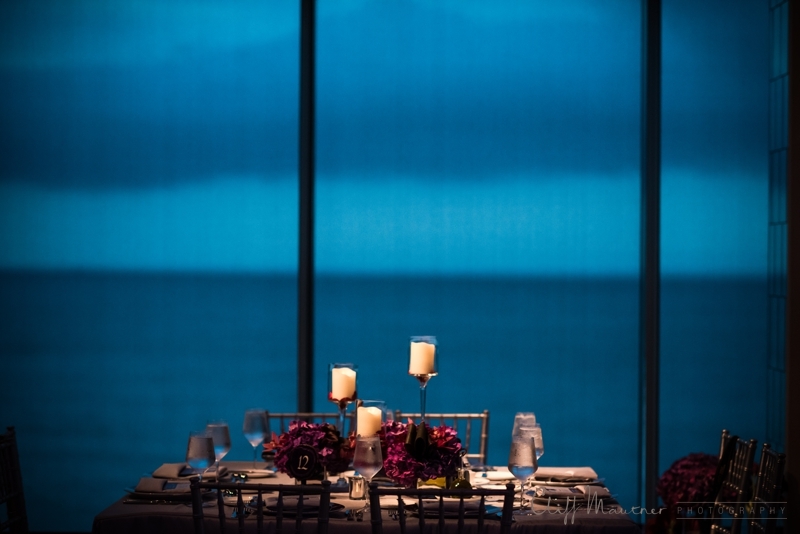 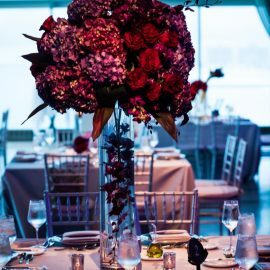 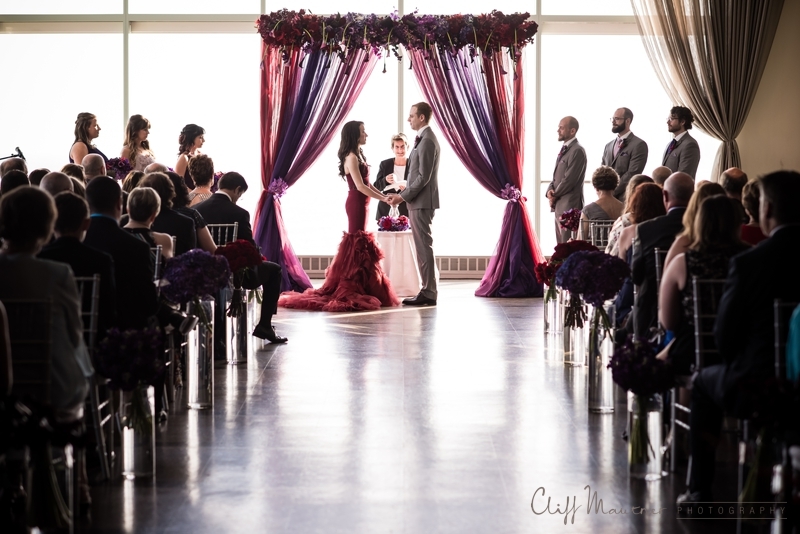 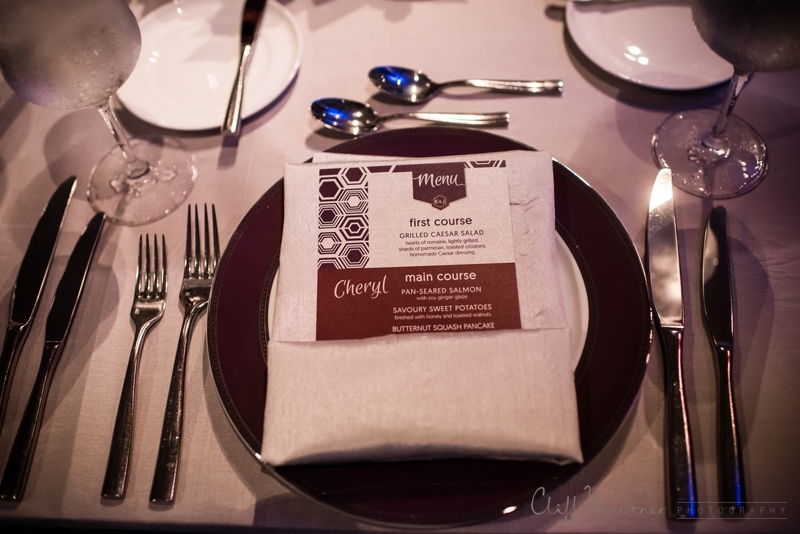 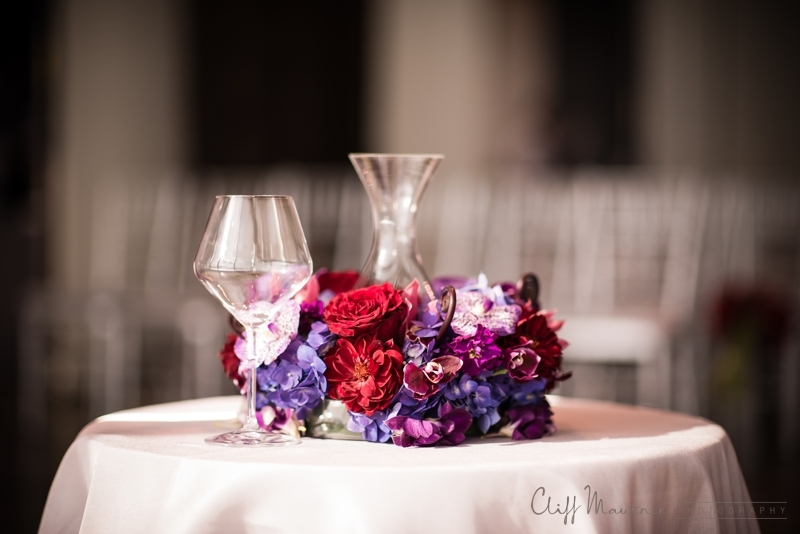 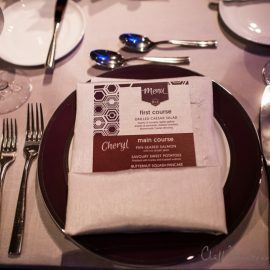 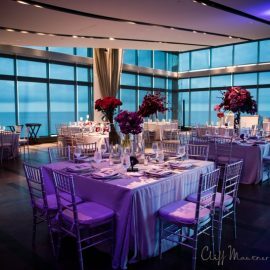 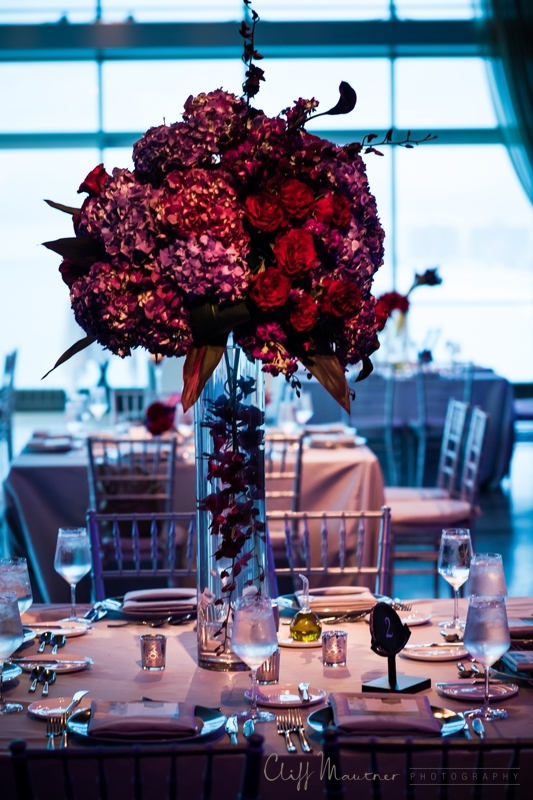 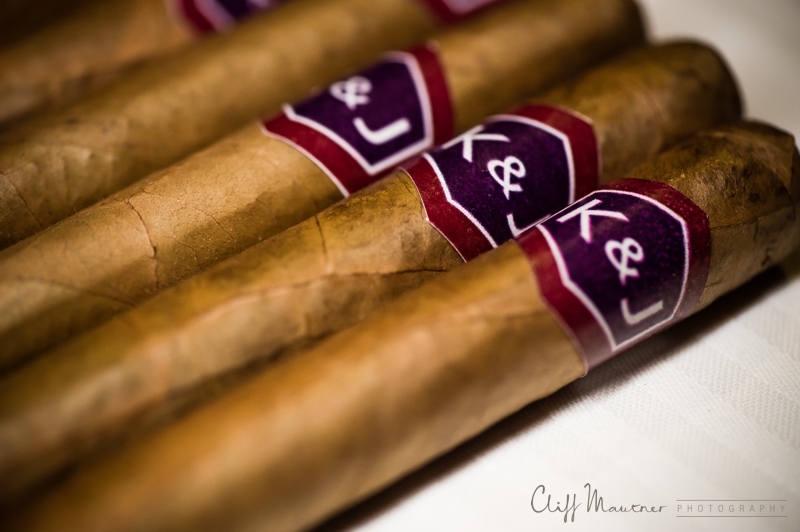 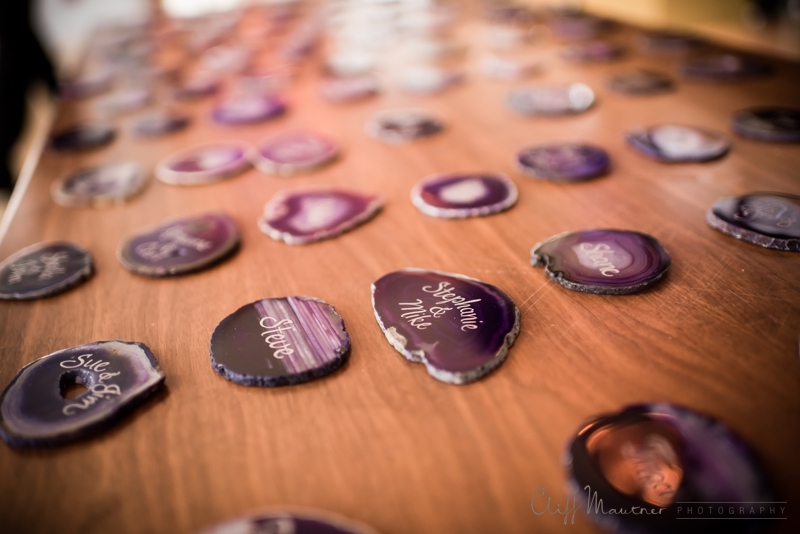 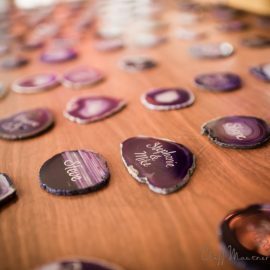 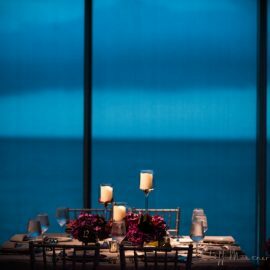 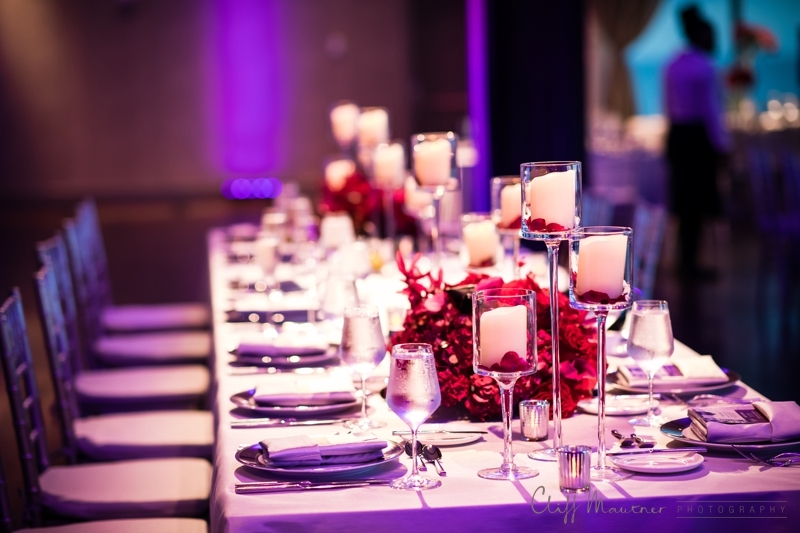 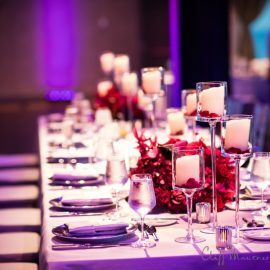 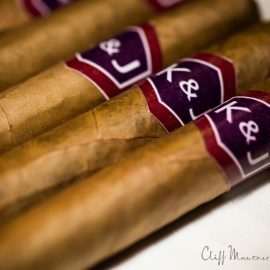 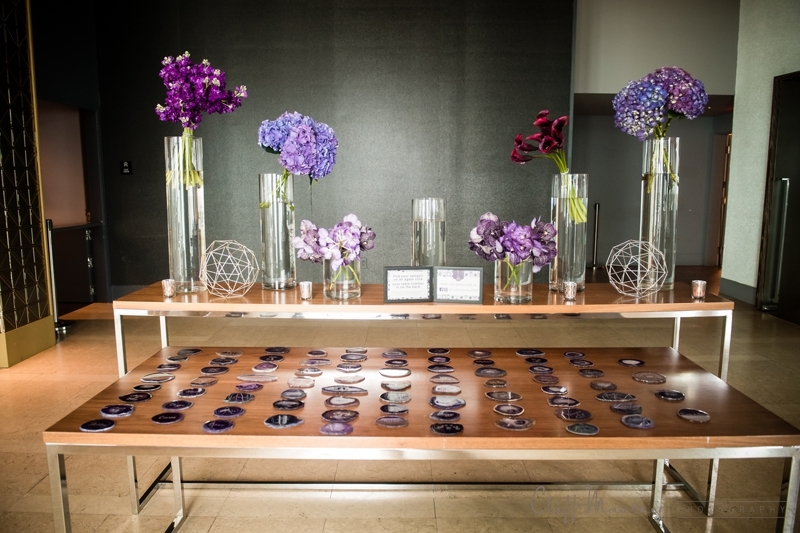 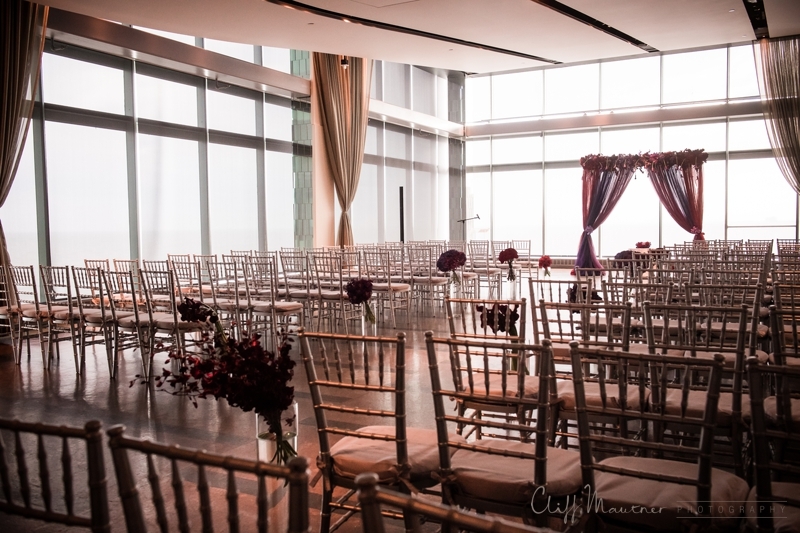 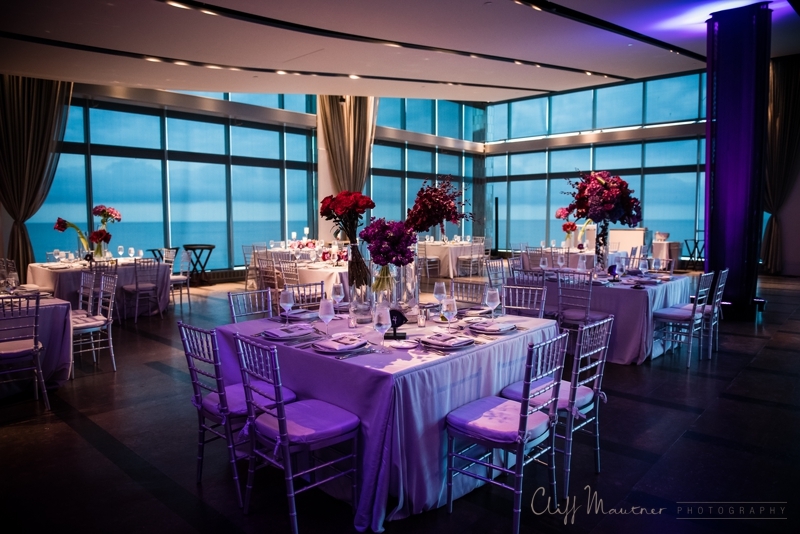 The wedding was decked in beautiful, rich jewel tones of crimson and aubergine accented with silver. 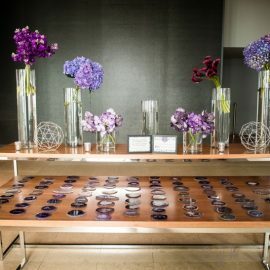 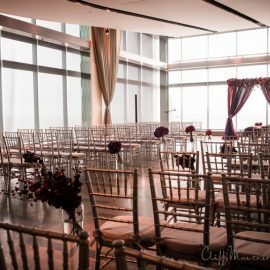 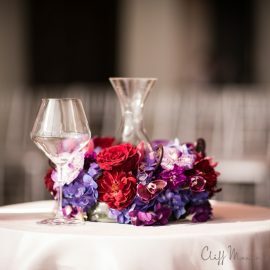 Throughout the ceremony, cocktail hour and reception, there were design elements of sharp geometric designs of hexagons, sleek lines and deconstructed centerpieces of jewel toned flowers. 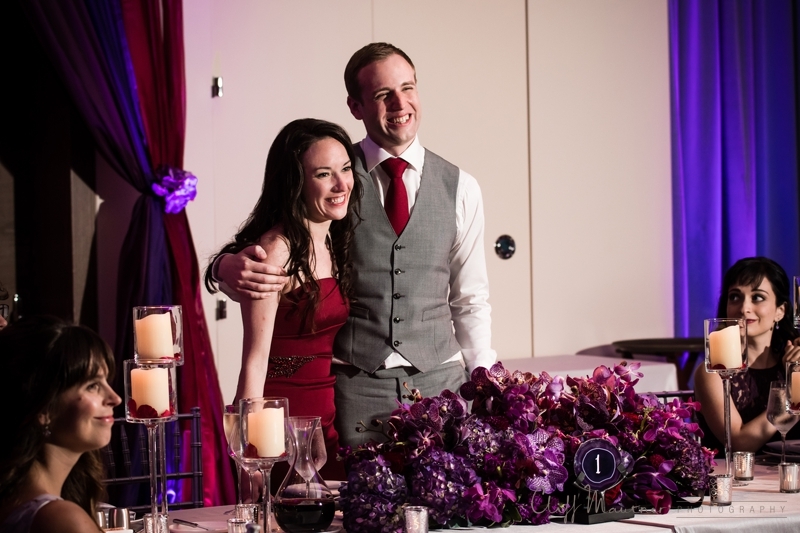 The band kept the party going throughout the night and the entire party were on their feet dancing. 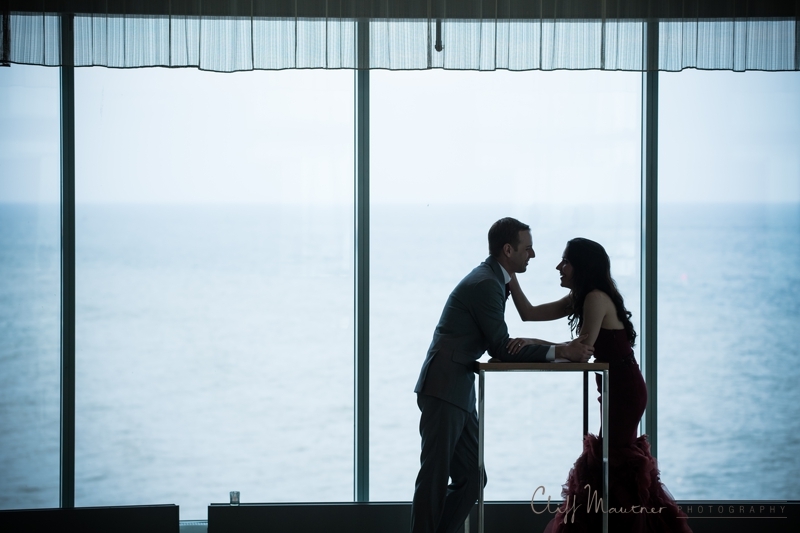 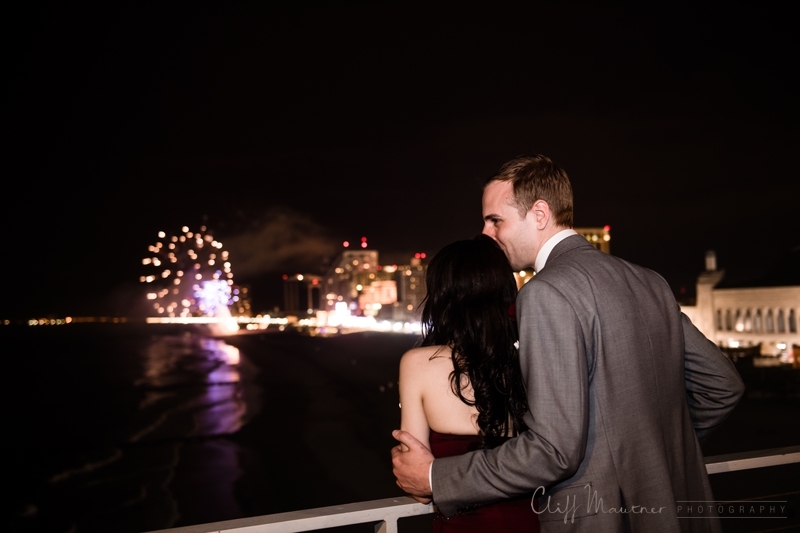 To end the night, the bride and groom watched a display of Fireworks light up the Atlantic City skyline.